Recently, edible and medicinal plants have attracted intensive attention as functional foods because of their biological activities. However, there has been little research on the influence of ball milling micronization on the properties of the Polygonatum powder. 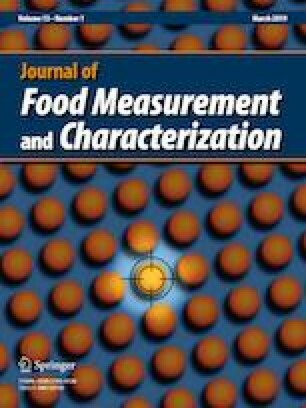 In this study, ball milling was used to micronize Polygonatumcyrtonema Hua tuber coarse powder to observe the effects on amino acids profile and antioxidant activities. Different ball milling times produced significant differences in the total polyphenols, amino acids, and soluble sugar contents (P < 0.05). The multiple linearities between total amino acids content, soluble sugar content, and ABTS radical scavenging activity revealed the relationship between antioxidant activities and ingredients. Moreover, the different cluster tendency by principal components analysis (PCA) and cluster analysis indicated the effects of different ball milling times. It was also highlighted that asparagine, α-aminobutyric acid, and valine can be used as the biomarkers to describe the effects of ball milling time by orthogonal partial least squares discriminant analysis (OPLS-DA). In summary, amino acids profile and antioxidant activities of Polygonatumcyrtonema Hua tuber powder were significantly influenced by different ball milling time. The present study provided a foundation for research on the potential application of Polygonatum tuber micronization and the development of dietary supplements and functional foods. Financially support from Natural Science Foundation of Zhejiang Province, China (Grant No. LQ17C200002) and Public Welfare Project of Huzhou, China (Grant No. 2018GZ28) was gratefully acknowledged. We also thank the China Scholarship Council (CSC) for scholarship support.